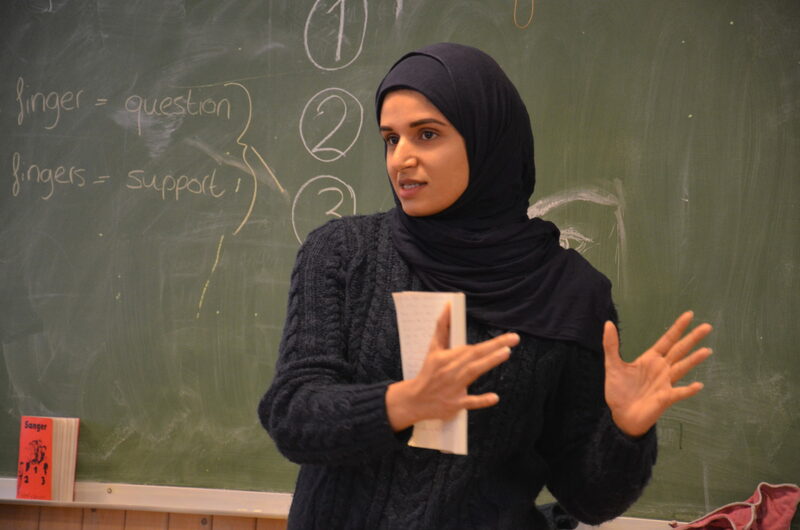 ISFiT 2017 has just come to and end, and we in the Peace Project have spent many days together with Aayat Alqormozi in Trondheim. 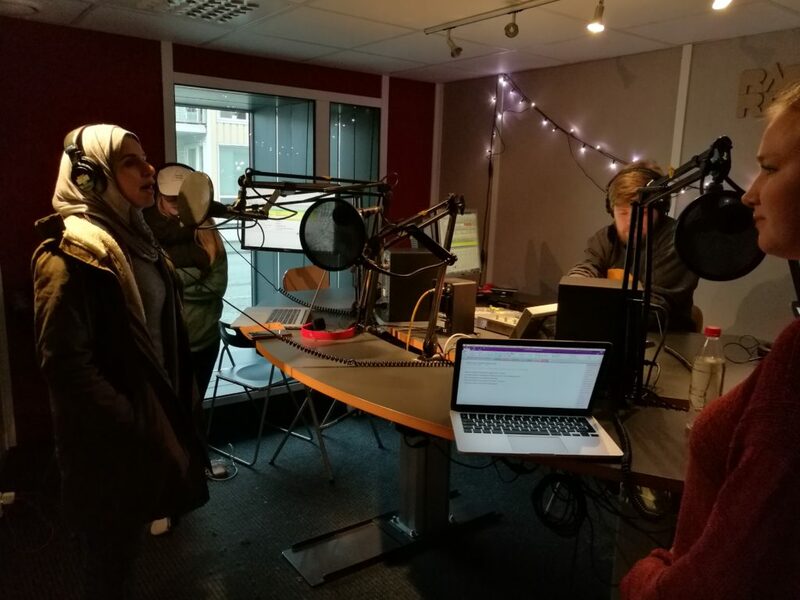 As mentioned in an earlier blog post we invited Aayat back to Norway and ISFiT to support her in spreading her message and share her story about her fight for human rights, democracy and freedom of speech. So in addition to being a regular participant in one of ISFiT’s workshops, she has held several workshops, speeches and presentations. 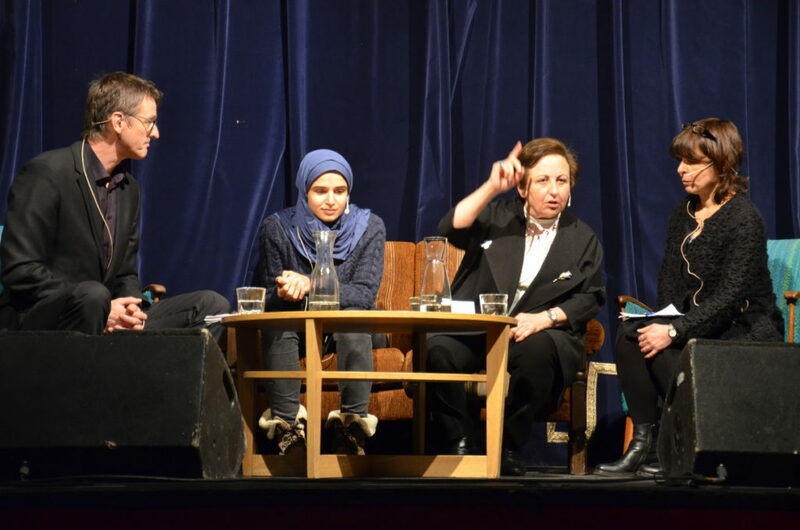 On 12th of February Aayat held a speech at one of ISFiT’s plenary sessions together with the Nobel Peace Prize laureate in 2003, Dr. Shirin Ebadi. The laureates talked about their work for peace, the situation in the Middle East and their personal sacrifice for their work for human rights. 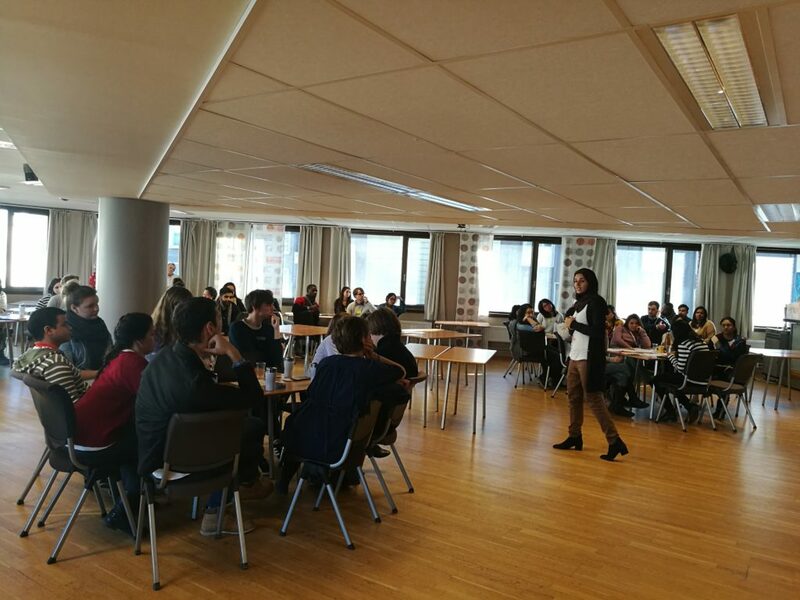 Aayat also visited two high schools in Trondheim at 13th of February. She attended their class in “politics and human rights”. She shared her story and talked about the situation in Bahrain, and also held a workshop where she used real-life cases about people in Bahrain who have had their human rights violated. The Norwegian students got the chance to discuss what they would have done in similar situations, and hopefully got more aware and informed about how severe impact the lack of human rights can have on people. A similar workshop was held a couple of days later for some of the ISFiT-participants. Aayat also contributed on the Project Day. This is a day where all ISFiT-participants can attend different courses to get inspired and learn how they can use different tools to overcome obstacles. Aayat held a presentation called “Expressed yourself – using creativity as a tool”. Aayat herself has expressed her political opinions by reading her poems in protests. The presentation encouraged the audience to do the same – to use their talents and do what they enjoy to express themselves in creative ways, for a cause they believe in. It has been a full programme for many days now, especially since Aayat has been a regular participant at the workshops, at the same time as she has contributed with speeches, interviews and courses. It has still been two great weeks!